Welcome back to Friday Photos, our weekly showcase of Royal Caribbean photos that were taken by readers of this blog. Every week, we ask our readers to send us their best Royal Caribbean vacation photos to be considered for this post. We love to feature photos of the ships, excursions, activities onboard and anything else that reminds you of a great time while sailing with Royal Caribbean. So without further adieu, here is this week's batch of photos. Our first photo is from LaShawn Harris and it is of Navigator of the Seas docked in Costa Maya. 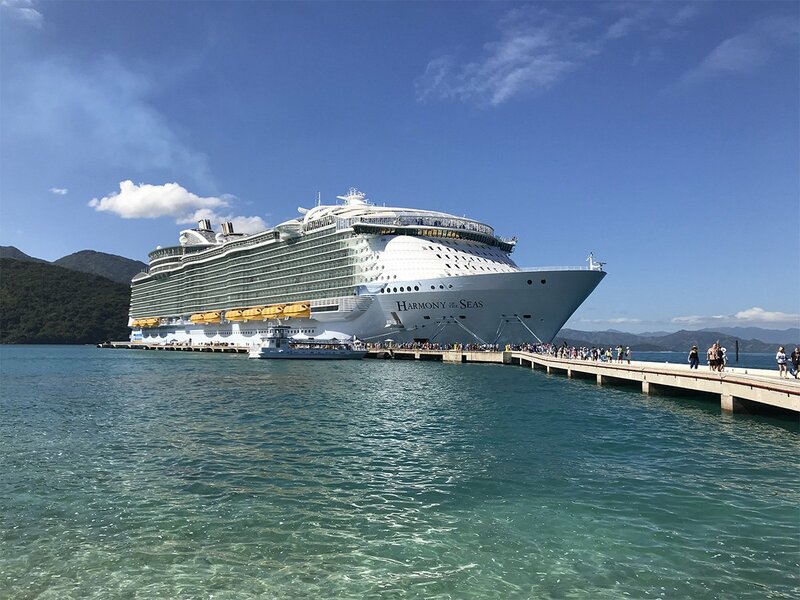 Here is a shot of Harmony of the Seas docked in Labadee, taken by Mark Pizzo. Jorge Toache sent in this photo of a cold January night on Anthem of the Seas. Pascal Everard shared this photo of a local vendor preparing to go home with Harmony of the Seas behind him. Bonus points for Todd Steinberg representing Royal Caribbean when applying suncreen, although I am not certain this will do much to protect against sun burn. Marc vanNiekerk took this photo of Empress of the Seas docked in Nassau, Bahamas. Our final photo this week is by Deb W., taken on Anthem of the Seas. Thanks to everyone who sent in their photos this week. Be sure to send your photos in as well by using this form.